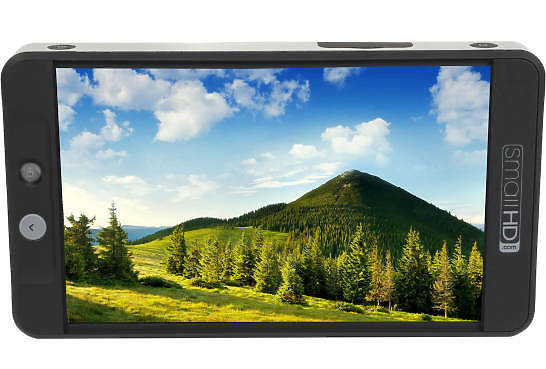 The SmallHD 702 Bright is the first of a new line of feature rich 7-inch monitors, the 700 Series. With a 1000 NIT, 1920 x 1080 LCD, the 702 Bright is pixel perfect for daylight shooting. The 702 Bright represents a new breed of daylight viewable displays. Along with the 1000 NITs of brightness (2-3x traditional LCD), the LCD panel features optically bonded glass with anti-reflective coating. This greatly reduces glare and helps the high resolution, colour accurate display remain visible, even in the brightest of environments. The SmallHD 702 Bright is the first of a new line of feature-rich 7-inch monitors, the 700 series. With a 1000 NIT, 1920 x 1080 LCD, the 702 Bright is pixel perfect for daylight shooting. Housed in an aircraft grade aluminum unibody, the 702 Bright is both durable and functional. 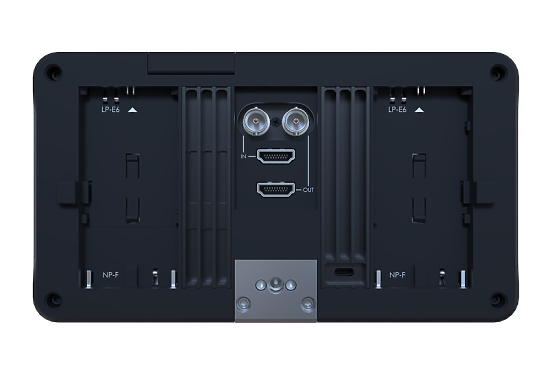 Contributing to its slim physique is an industry first, Sony L Series and Canon LP-E6 battery solution (no battery plate required). The 702 Bright’s construction is the perfect complement to its daylight viewable display. The 702 Bright is built on SmallHD’s Page Builder OS. It’s the operating system that feels less like firmware, and more like a production assistant. Page Builder was introduced with the SmallHD 500 Series. Create multiple pages (12 max), populate each with features you wish to use such as scopes, looks or focus assists then switch back and forth with a left-or-right flick of the joystick.